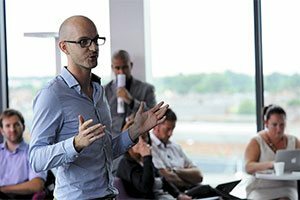 Teesside University has announced further investment of more than £10 million on the back of its success in a national satisfaction survey of its students. 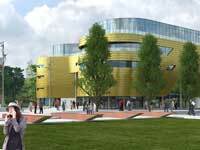 The £20m teaching facility The Curve is set to further enhance the student experience at Teesside. Today (Wednesday) the National Students’ Survey (NSS) has revealed that Teesside had once again matched the overall benchmark for the satisfaction of its 22,000-strong student community with overall satisfaction at the University at 86%. The Students’ Union (SU) was also ranked as one of the best in the country with overall satisfaction at 85%. This latest plaudit for the SU follows a gold award in the 2015 Best Bar None awards for the quality of its social spaces and licenced premises and also a Gold Standard in the 2015 National Union of Students Green Impact Excellence Awards. 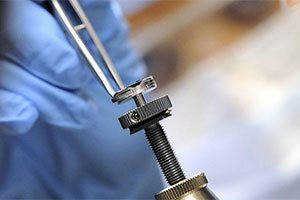 The annual NSS gives undergraduates the chance to rate their university and subject across a whole range of areas including teaching, assessment and feedback, academic support and personal development. 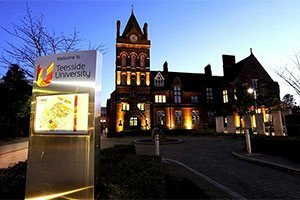 Now Teesside is set to add to the quarter of a billion pounds it has invested in its town centre campus in recent years with further spending on its facilities. The University has committed to spending more than £10 million in improvements to its landmark library building, its range of food outlets across campus and on its highly regarded Students’ Union. The Library, which was designed by architect George Clarke from television’s Restoration Man, will have £5million invested and see a new postgraduate lounge built on its fourth-floor. There will also be investment in new IT technology throughout the building and new specialist libraries and social and group learning spaces constructed. The Students’ Union will see further investment of £2.5million which will include the recladding of the building in campus heart as well as the development of the ground-floor shop, the Love-It lounge and The Hub function suite and night club. There will also be improvements to the catering offer at the Union and to the student advice centre. These improvements are in addition to the £2million of investment which the Union received over the last three years to provide informal learning spaces, meeting rooms, activities and development opportunities, expert advice and representation, and its brand new bar, The Terrace. The University’s catering outlets will see a substantially enhanced offer available to students and staff. Five new-look outlets across campus will include a sandwich bar, bakery, barista coffees from Costa and Starbuck brands and healthy options. 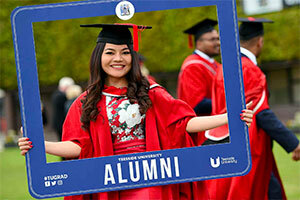 The University is in discussion with a number of leading brands on new menus and offers. Finally there will be continued investment in accommodation, classrooms and technology across campus as well as the opening of the £20m iconic new teaching facility The Curve and the landscaped flexible outdoor area, Campus Heart complete with living wall and screen in September. 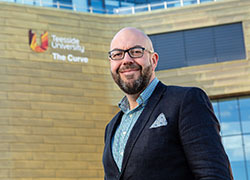 Teesside University Vice-Chancellor, Professor Paul Croney, said: 'It is vitally important that our students feel that they get the most out of their time at the University, so we are delighted to have achieved such a fantastic result in the NSS. 'With the construction of our iconic £30million Campus Heart, this has been a real year of change for the University and we are glad to see that students have responded to it so positively. We are particularly pleased to have seen such a positive endorsement of the work of the Students’ Union. 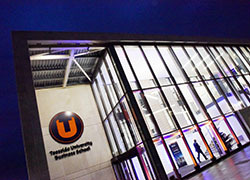 Teesside University's new developments at Middlesbrough campus are highlighted in article. 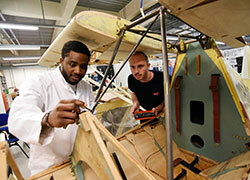 Professor Croney feature in article on the new campus devleopments. 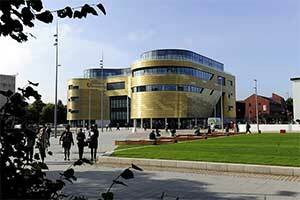 Teesside University has moved from 86 to 74 in the league tables. New catering provision for staff and students.